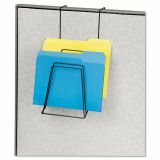 Fellowes Wire Partition Additions Six-Step File Organizer, 7 1/2 x 10 1/2, Black - Wire Partition Step File Organizer frees valuable desktop work space. Six 1 stepped compartments accept letter or legal size materials. 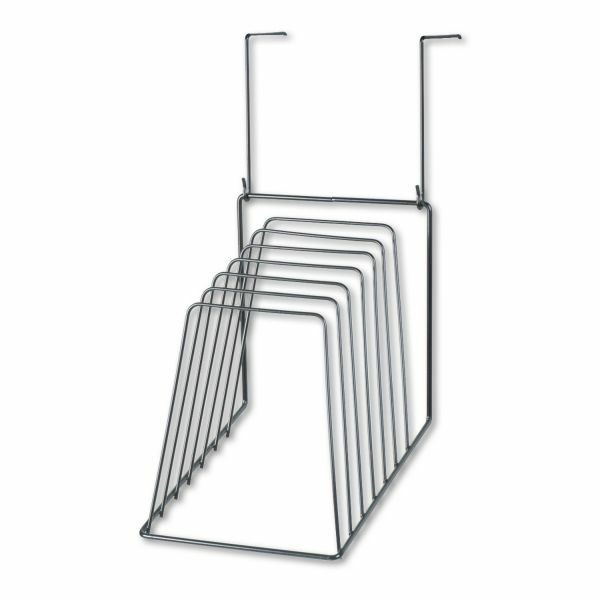 Universal mounting bracket fits partition panels 1-1/2" to 3" thick or organizer mounts to wall with included fasteners. 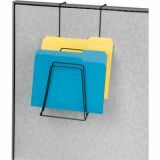 Partition step file organizer offers contemporary black vinyl-coated wire design. 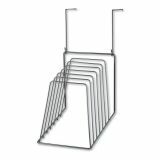 Add-on pockets (sold separately) allow unlimited expandability."